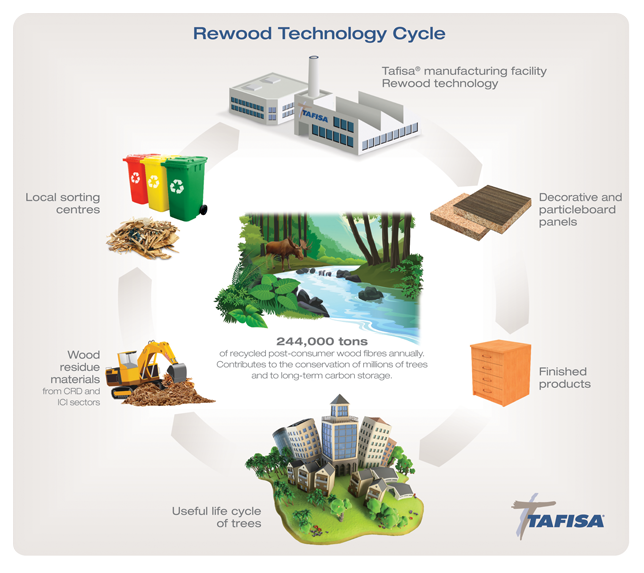 The RewoodTM technology enables the recycling of 244,000 tons of post-consumer wood fibre annually, thus saving millions of trees. This approach extends a tree’s useful life cycle; instead of ending up in a landfill site, post-consumer wood materials are recycled and integrated into the company’s panels. 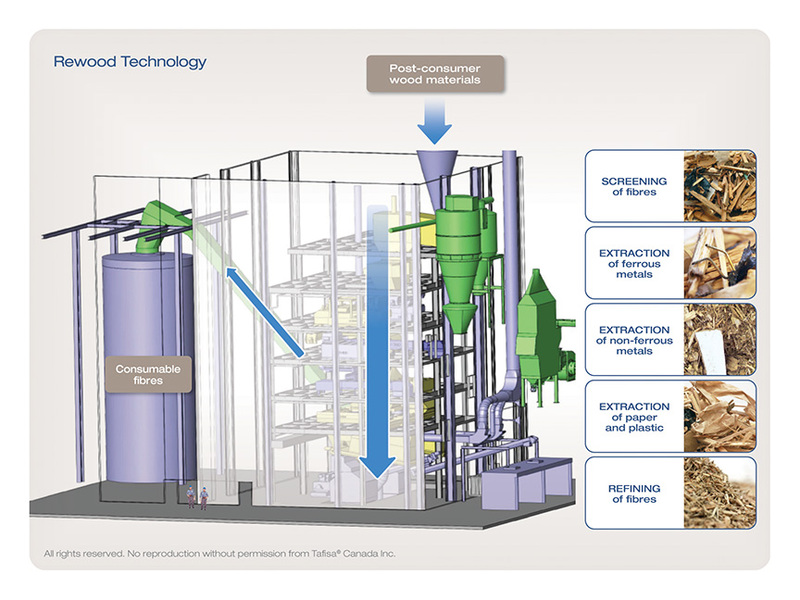 The RewoodTM processing tower is a seven-storey treatment unit used to decontaminate, clean and refine post-consumer wood materials generated mainly in the CRD (construction, renovation and demolition) sectors. 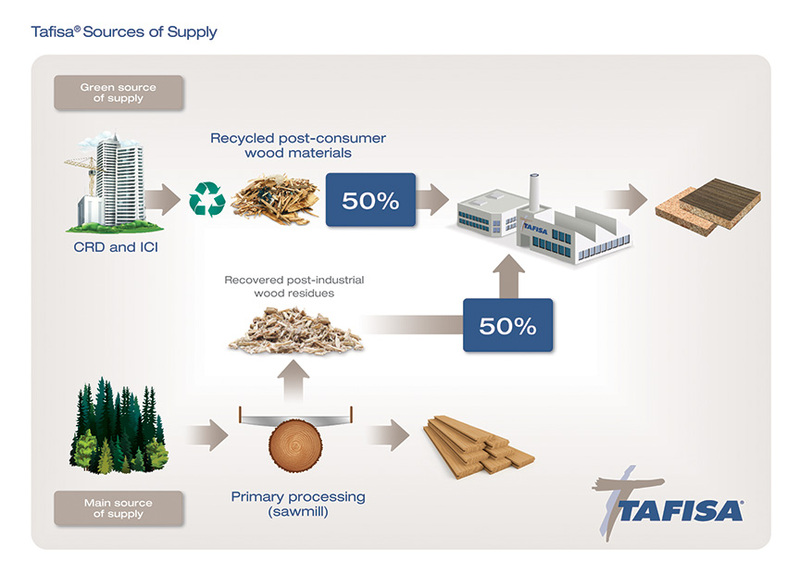 Tafisa® Canada's initiative has enabled many of the company’s suppliers — the sorting centres — to find an outlet for their recycled wood materials, and to attract major investments allowing them to consolidate and enhance their processing capacities. Since then, several new sorting centres have opened, resulting in a significant increase in the processing of residual materials.